We are home automation and smart homes specialists! We provide whole home control planning and installation services that are simple and effective - incorporating the latest technologies and trends. Azro Limited specialises in providing simple, affordable and discrete solutions to intelligently control almost any aspect of your home. Our home control solutions make it possible for virtually everything in your home to work together—from TVs to receivers, disc changers, stereos, media players, amps, speakers, even garage doors, pools and sprinkler systems — all via one easy-to use interface. Our ability to understand your requirements, design and then implement you a solution that meets your needs is what makes us stand out from the crowd. We can work with homeowners whether you are about to start building your dream home, refurbishing, or indeed already living in your home. Get in touch today! From entertainment systems and home cinema to heating and security, AV Genie specialise in equipping your home with clever technology. Our systems can improve both the look and efficiency of your home, as well as changing the way you relax, entertain and work in your space. Our technology solutions range from a single room, for example removing all of those pesky remote controls and replacing them with a single remote, to full home automation systems. These can incorporate lighting schemes, entertainment systems, security, heating and much more. From design through to commissioning, let us help and advise you on the latest technologies available and deliver them to the highest standard. AV Genie takes your curiosity, ideas or dreams and turns them into a tangible technology system. There is no idea too farfetched or out of our reach! With a combined experience of over 30 years in the AV and IT industries, Chris and Steve embrace your creativity and the challenge of a custom installation. Contact us to find out what we could do for your home. Led by Founder Matthew Cupper, Adept Integrated Systems provides world-class home cinema and smart home installations to make your home work for you. At Adept we work with our clients and design partners offering a personalised and professional service delivering exceptional systems utilising our expert knowledge. Matthew brings with him over 35 years of industry experience & passion for all aspects of cinema, audio, IT and automation. A professional installed home cinema or entertainment system will enhance your lifestyle & allow you to be part of truly amazing experiences with friends and family. Automation systems can transform everyday life, by allowing you to gain control of complicated systems & tasks. All that's left for you to do, is relax & enjoy! Whether you're looking for a home cinema, full room fit-out or whole home automation, we're here to guide you through the process & enhance your home. We look forward to working with you. We offer the complete personal service for your Smart Home, from inception to completion and after care customer service –there is no “middle man” –you will be dealing directly with the installation team. We believe the Smart home is within all budgets. We will discuss your needs and give you the best options to suit you and your budget. And deliver your project as specified. McAllister AV is an independent consultancy specialising in the design and installation of audio visual home automation and smart-home systems. Our primary role is to facilitate the install process from an original idea, small or large, through to completion. Our approach is friendly, knowledgeable sincere and above all, honest. We deliver systems that are reliable and within budget. Equally, we want you to share our passion for the joy and excitement that home technology can create. With more than twenty years of experience in Audio Visual installations on a wide variety of projects and a host of well established associations, we are in a unique position to employ the services of the very best in their respective fields. Contact us for further information to find out how we can ensure that you have the right team to achieve your project goals. Prestige Audio was founded in 1984 and we have been creating award-winning home cinema installations ever since. Throughout the early years the team pioneered the multi room concept that they knew would one day become the norm, often engineering solutions in-house as they waited for the world to catch up; it’s this history and experience that gives Prestige Audio a clear advantage in the techniques and resources needed to deliver the complex systems needed in a modern building, be it a home, a luxury office or retail store. Our Clients Our clients include royal families, captains of industry, TV celebrities as well as sport, film and music legends. We have also worked with high profile companies such as McLaren and Aston Martin. We have carried out installations in landmark buildings such as the Hilton/Beetham Tower in Manchester, St Pancras in London and high profile hotels in Knightsbridge. 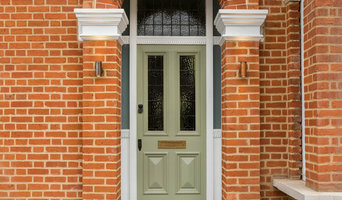 We are now further developing long standing relationships with architects, interior designers, property developers, builders and other related contractors CUSTOMER SERVICE With over thirty years in the High-End luxury market, our business is known for unparalleled customer care. We help you through the many choices and options available to you and guide you to achieve the best possible solution. Our work is not over at the end of the project as we offer a host of options of customer care maintenance plans. Home Media is our passion! From the simple to the sublime! 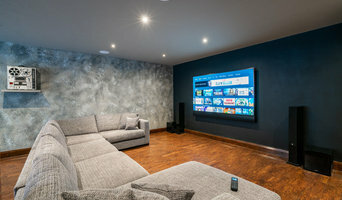 From a Multi Room Audio System to a Private Cinema in your basement, we have lots of solutions available for your next project: - Automated Furniture - Home Cinema - Multi-room Audio/ Video - Heating and Lighting Control - Smart Home and Security Even if you just need help with mounting a TV! We can help take the uncertainty and hassle out of achieve a system to be proud of. Challenge Control have been part of the Home Automation industry since 1978, starting out as specialists in TV repair and aerial installations. Moving forward with the change in technologies and making use of their dedicated engineering teams, they are now specialists at the top end of the home and commercial automation industry. Our Electrical engineers have years of Industry experience between them. Our staff are all fully trained as well as their extensive experience in commercial, light industrial, and domestic works, with particular emphasis on Automation Control Systems. Working with quality suppliers of installation materials and equipment, we can provide you with a total installation package backed up by first class warranties/guarantees and service. The Pleasure Home is a multiple award-winning audiovisual and smart home installer. We have a 15 year track record of providing innovative, future proof, mid to high end residential solutions that have stood the test of time! We pride ourselves on always specifying the best solutions for our clients that exactly meet their needs. 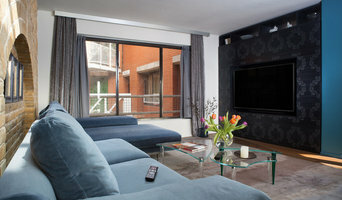 From a full smart home package through to setting up audiovisual systems and multi-room audio solutions. We will design your installation in fine detail and at the end of the project, deliver a concise set of documentation for ease of maintenance and any future enhancements. We only employ the industry's top engineers that we know and trust and are the best in their respective niche disciplines. Finally, all of this is of little use unless the installation is SIMPLE TO CONTROL. We use iPads and iPhones rather than expensive touch panels. Our iRemoteControl software ensures that button presses are kept to a minimum and control is intuitive and responsive - there is no learning curve! Contact us to find out more and see how can help! We are proud to be a small, family run business, offering award winning home cinema design and installation services, in and around the Cotswolds. With years of experience in the industry, we specialise in creating intimate and involving cinema rooms, offering our customers the very best in home movie watching experiences. Situated in the heart of beautiful Cotswolds' countryside, we take advantage of our tranquil settings and can offer uninterrupted demonstrations in our stunning cinema room, where customers can experience just how awesome watching a film in a Home Cinema can really be! What else can home automation companies do for me? Aside from the (now fairly widespread) smart thermostats that can be controlled remotely, home automation specialists can install your home with all sorts of technology and media products to help your home become as efficient and accommodating as possible. Not only can your heating be monitored and controlled using smart technology, but so can your other utilities and bills. Energy monitors tell you how much power you are using and timed or remote controlled adapters allow you to reduce the amount of electricity you use by making sure you only have items switched on when necessary. What home entertainment can smart home installers install? Home automation and smart technology is not just about making your home more energy efficient and secure, there’s also some fun to be had. Home media and home cinema installers can kit out your home with the latest technology such as smart TVs, media streaming devices, speaker systems and smart home assistants. 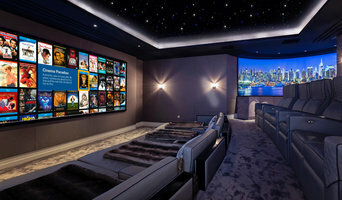 If you’re after the full home cinema experience, home cinema specialists not only can design the seating and decor for your dream home cinema, but most of them can help you find specific media control options, conceal your television and various accessories, set up optimal seating, choose and install ideal lighting, and help create the ultimate viewing environment. Find a home automation company or home cinema installer on Houzz. Narrow your search in the Professionals section of the website to home automation companies and home cinema specialists. You can also look through photos by style to find a media or technology installation you like, then contact the professional who designed it.